INDIANAPOLIS – For more than a decade, $500 million in proceeds from the 2006 Indiana Toll Road lease has sat untouched, earning interest to go to road and bridge projects. But now Gov. Eric Holcomb's administration is leveraging the money more aggressively for a major rail project in northwest Indiana and to help spark growth in Indiana companies. The new strategy started in 2017 when lawmakers authorized up to $250 million from the Next General Trust Fund to be invested in riskier equity and debt investments, primarily in Indiana companies. But another move came on the last night of the 2018 session – allowing the state to bond against the remaining $250 million for the double tracking of the South Shore rail line in northwest Indiana and the West Lake Corridor Project. The proposal is to expand the South Shore Line from single track to double track between Gary and Michigan City and construct, signal, power, and platform improvements at five passenger stations. That project is set at more than $300 million. The West Lake Corridor Project is a proposed southern branch extension of the existing South Shore Line to reach high-growth areas in Lake County. It will cost more than $650 million. The region is applying for federal grants to cover half the cost of each. The state has set aside $12 million so far in funding and local government units will contribute as well, Vincent said. The Next Generation Trust Fund will be used as a financing mechanism to help make the project happen. Up until now, the money has been in one fund and every five years the interest gained has been shifted to the Indiana Department of Transportation for state road projects. In 2011, that amount was $124 million, and in 2016 it was $83 million. In recent years, historically low interest rates have slowed income earned. Now there are essentially two accounts – the Next Level Fund, which is run by an investment board – and the new Next Generation Trust Fund. The expanded investment strategy in the Next Level Fund could result in more money for the state but also carries more risk than the previous strategy. 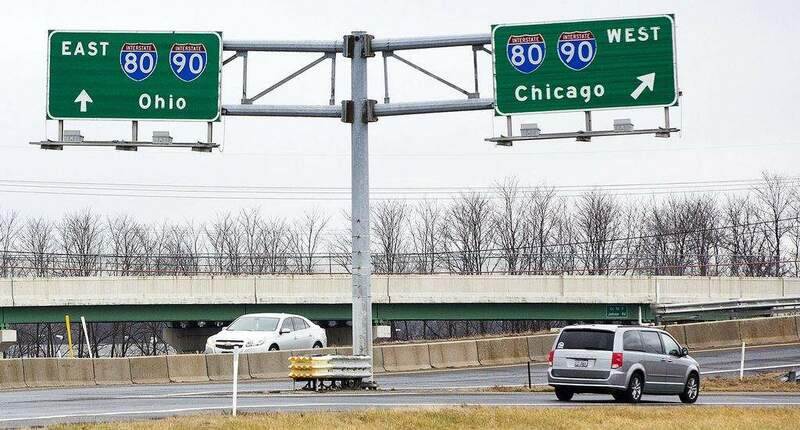 Vincent said the board – with help from a Chicago firm hired to manage the program – will decide what companies to invest in and how often to send interest to INDOT, depending on the different life cycles of the investments. The Next Generation Trust fund will still send income every five years – the next payment is scheduled for 2021. Democratic Rep. Terri Austin of Anderson said she and other Democrats have suggested using the money before and were loudly criticized. “I'm not quite sure what we are doing,” she said. She expressed concern in a House rules meeting the last night of session but there was little discussion due to the compressed time frame. She acknowledged the importance of the South Shore expansion while also noting a big shift in how the fund is being handled. “This was never to be touched or altered. It was holy money,” Austin said. When Democrat John Gregg ran for governor in 2016, he proposed using $300 million to leverage bonds of up to $3 billion for new local and state projects. The bonds would then be paid by future federal highway distribution dollars. That isn't too far off from what the plan is for the South Shore projects. Vincent said if the state receives grants from the federal government, then Indiana will issue grant anticipation notes to begin the projects. To ensure the lowest bargaining costs, the Next General Trust Fund will be used as security for the bonds. He stressed that the state wouldn't issue notes unless and until the federal government awarded the grants and essentially entered into a contract with Indiana. He said the Federal Transit Administration has a long history of honoring their grants and the risk is low. The fund's principal would be touched only if the federal government doesn't pay. And in that case, the state's general fund would replenish the Next Generation Trust Fund. Then the feds would reimburse the state general fund. Vincent said it came up at the very end of session because discussions were ongoing about the most optimal financing method. Dennis Faulkenberg, a transportation adviser and former deputy commissioner at the Indiana Department of Transportation, said the industry hopes there won't be any significant changes to the five-year interest payments. Michael Hicks, director of Ball State University's Bureau of Business Research, isn't too concerned with the changes. He said even if the state loses a minimal amount of expected interest that is probably small compared with the opportunity cost of waiting to move forward on key projects.